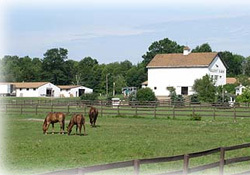 Visit the beautiful quiet Silent Farm Bed and Breakfast perfect for Romance, Leisure or Business. Extended stays welcome. 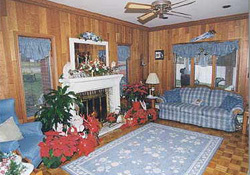 One Room Cottage available. Corporate Rates. Meeting room with fax and phone to make your breakfast meeting relaxed and successful. Luxury Rooms and full breakfast. You may even bring your horse or other pets. Please call first. 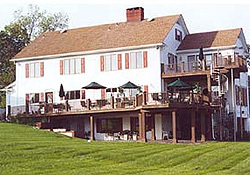 Planning your Wedding Silent Farm Bed and Breakfast is perfect with it's romantic setting. 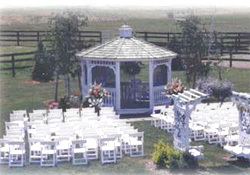 Our outdoor reception offers a dance floor sized to meet your needs. Small intimate Weddings indoors by the fireplace is a memorable scene. Children's Birthday parties with pony or horse and hay rides available. All you need to do is contact us. We look forward to your visit whatever your needs are. Call our Innkeeper today.